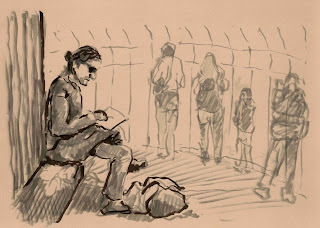 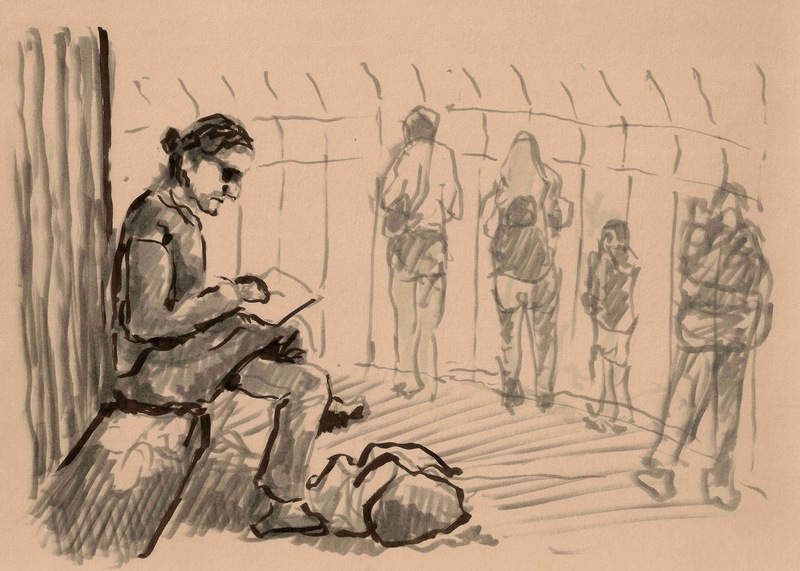 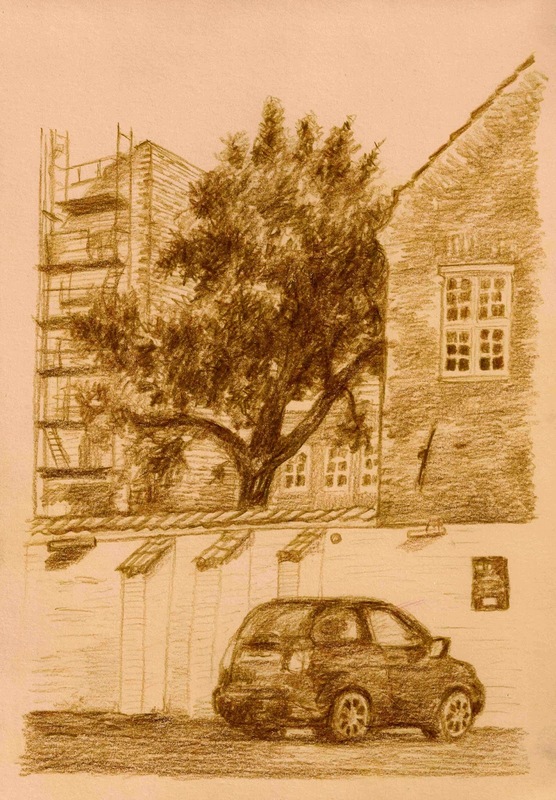 On saturday the 10. of june 2017 Urban Sketchers Copenhagen sketched around the area of Nørreport in Copenhagen. 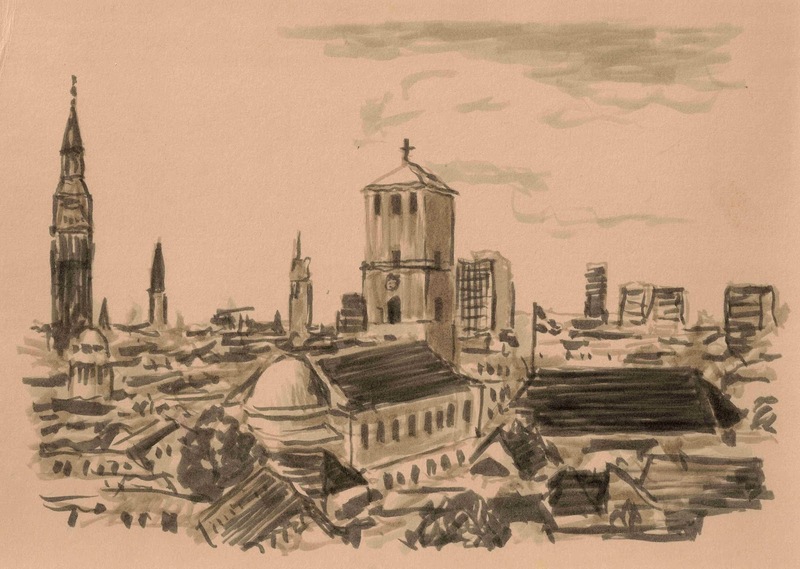 ¨We started on top of Runde tårn (the Round Tower - a famous landmark building in Copenhagen). 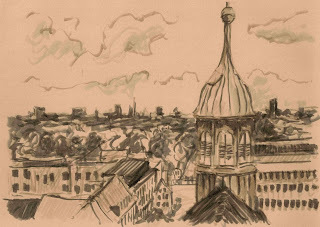 The view is always great over the rooftops, and today the weather was warm and pleasant. 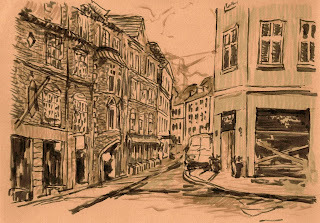 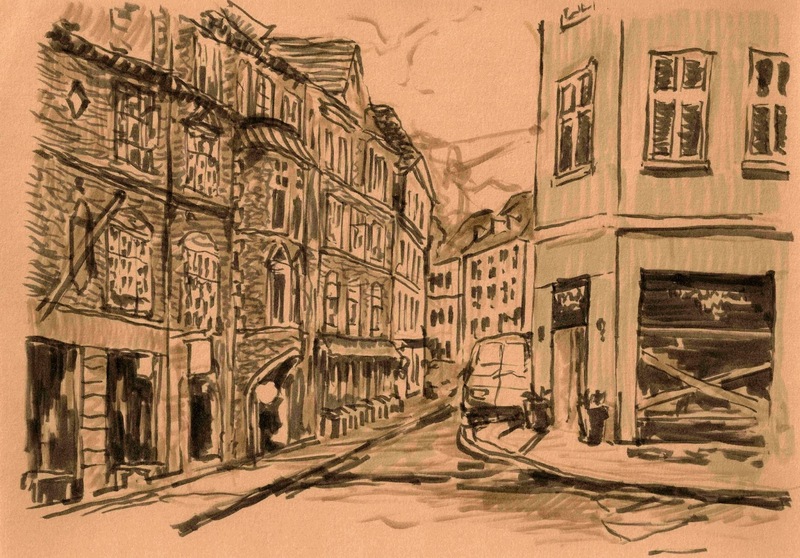 Later we ventured down again to Pilestræde for some additional drawings of the busy street. 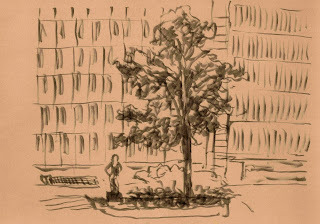 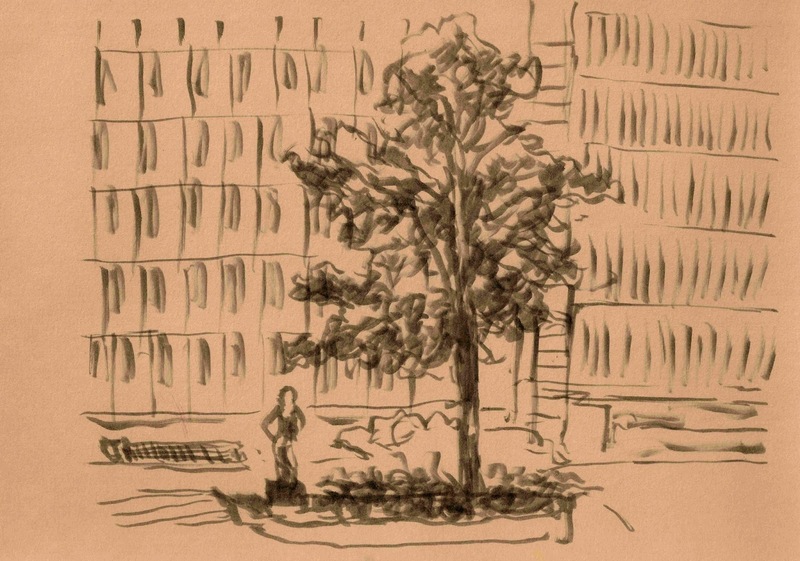 After the meeting was over I bonus-sketched a nearby tree boxed in between the walls of surrounding buildings.